Certain rivalries will rage on forever. Mac versus PC, Yankees versus Red Socks, Coke versus Pepsi; the list is extensive. Among exotic car enthusiasts, the constant battle for supercar dominance between Ferrari and Lamborghini is always a topic of discussion. With modern rivals like the Ferrari 458 and the Lamborghini Huracán, these two brands have been going toe-to-toe for more than 50 years. Throughout their respective histories, Ferrari and Lamborghini have developed some of the most powerful and well-known cars in the automotive industry. Before getting into a side-by-side comparison, let’s take a brief look at where these two companies started. The company is independently founded in 1947 by Enzo Ferrari after an extensive racing career with Alfa Romeo as Scuderia Ferrari from 1929 until WWII. The first vehicle produced by Ferrari in their Maranello factory was the 1947 125 S.
Ferrari would go onto win 235 F1 victories and 16 F1 Constructor’s Championships as of 2018, more than another team in the sport’s history. Ferrari brought rear-mounted race car innovation to the street in 1973 with the mid-engined V8 2+2, the Dino 308 GT4; this would launch the V8 range for the company receiving the Ferrari name in 1976. Into the 2000s and beyond, Ferrari drastically expanded its market offerings and continued producing critically acclaimed models for the company like the 360 Modena, California T, and 458 Italia. Ferruccio Lamborghini, originally a tractor designer, launched “Lamborghini Automobili” in 1963 as a response to Enzo Ferrari for poor after sales service and what he believed were design short comings of the then current 250 GT line of Ferraris. The first official production Lamborghini was the 350 GT, debuting in March, 1964 at the Geneva Motor Show. In 1966, Lamborghini debuted the landmark model Miura with its transverse-mounted V12 inspired by the Mini. Many consider the Miura to be the first true super car. The iconic Lamborghini angular styling arrived with the Marcello Gandini styled Countach in 1971. Production began in 1974 on what would become the most recognizable design from the company’s history. At the tail end of the ‘70s and into the ‘80s, Lamborghini saw a massive rise in popularity thanks to movies like Cannonball with the addition of the “Wolf Racing Wing.” Thanks to the arrival of the 5000 Quattrovalvole, Lamborghini had the power as well as crazy cool design to take on their direct competition with the Ferrari Testarossa, another ‘80s automotive icon. From the ‘90s, into the current day, Lamborghini pushed the limits of supercars and developed mainstay models like the Diablo VT, Murciélago LP670 SV, and the Gallardo Superleggera. Today, Lamborghini continues to excite and push forward with breakthrough models like the Urus, Huracán Performante, and Aventador SVJ. Style: Ferrari models are easily recognizable for their elegant, sweeping designs that use hidden aerodynamics, like ground effect and active aero, to avoid the use of external wings. Power: Ferrari’s lines are split into two lines by engine, the V8 and V12 lines. Of these, the Ferrari 812 Superfast reigns as king, housing the most powerful naturally aspirated engine of all time, a 6.5 liter V12 producing 789hp. Current Model Range: Ferrari offers a large range of convertible models like the Portofino 4-seat convertible, GT4C Lusso all-wheel drive daily driver, and track monster 488 Pista. Interior: Bathed in acres of fine Italian leather and carbon fiber, every surface of a Ferrari interior is designed to emphasize that you are in the ultimate luxury car. Style: Lamborghini models favor external aerodynamics with sharp edges, low profile, and prominently displayed active aero and wings. Power: Three engines are used in Lamborghinis: a V8 twin-turbo, naturally aspirated V10, and a naturally aspirated V12. The most powerful Lamborghini available is the 217mph Aventador SVJ, which boasts a the most powerful engine Lamborghini has made, a 6.5 liter V12 producing 759hp. 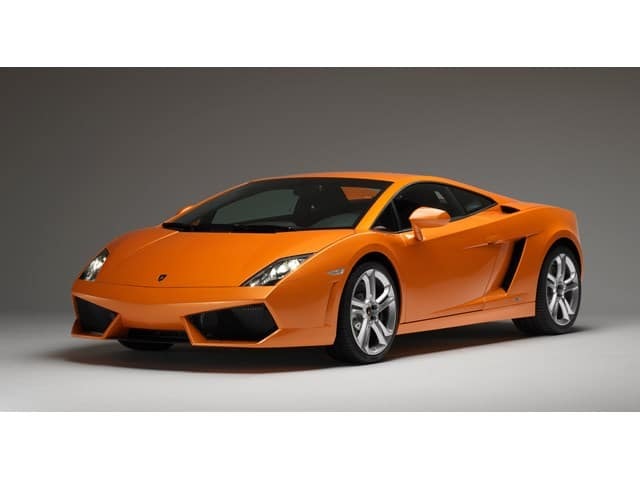 Current Model Range: Lamborghini offers two sports car ranges, the Huracán and Aventador. Recently, Lamborghini introduced the Urus SUV, referred to by Lamborghini as “the world’s first Super Sport Utility Vehicle”. Interior: Sharp, angular design elements such as the digital instrument cluster and hexagon theme brace the cabin. Forged and matte carbon fiber are used extensively to make the driving experience space-aged and uniquely Lamborghini. When you’re shopping for an exotic car, you know exactly what you’re looking for. Ferrari and Lamborghini offer impressive performance, one-of-a-kind style, and the luxury feel you want. Visit us in Cleveland to find your model, or contact us from New York, Palm Beach, or Dallas, and our Nationwide Delivery service will get your dream car there in perfect condition.